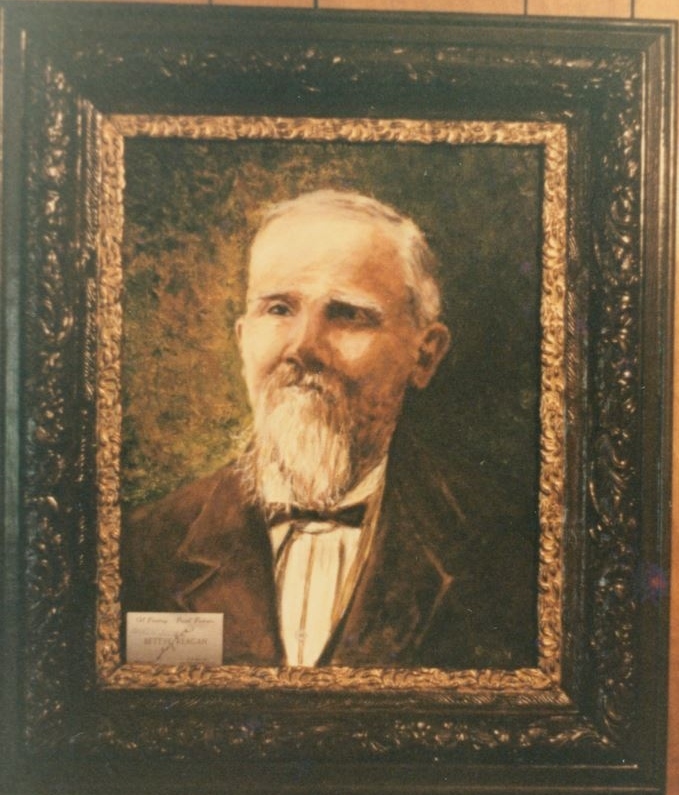 A painting by Bettye Reagan, a local artist in Central Florida, inspired by a photograph of Andrew Aulin, Sr. (1843-1918), the Swedish immigrant credited with naming the town of Oviedo, Florida. Aulin immigrated to Oviedo in 1870 and, in 1879, he was appointed the postmaster of the area formerly called the Lake Jesup Settlement,. Aulin also founded the local Ionic Lodge, which was the predecessor to the Masonic Lodge. Aulin was married to Emma Leonora Lawton Aulin (1853-1907) and had five children: Theodore Aulin, Willie Aulin, Mattie Aulin, Mary Aulin, and Andrew Aulin, Jr. Original painting: Reagan, Bettye. 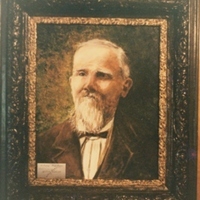 Andrew Aulin, Sr.. 2005: Private Collection of Bettye Reagan. Digital reproduction of original painting: Reagan, Bettye. Andrew Aulin, Sr.. 2005. "Andrew Aulin, Sr.." RICHES of Central Florida. https://richesmi.cah.ucf.edu/omeka2/items/show/6360. "Andrew Aulin." Find A Grave. http://www.findagrave.com/cgi-bin/fg.cgi?page=gr&GRid=69149825. Greer, David H. "Early History of Oviedo Lodge." Oviedo Masonic Lodge #243 - F. & A. M.. http://www.oviedolodge.org/info.html. Reagan, Bettye Jean Aulin. “Andrew Aulin, Sr. by Bettye Reagan.” RICHES of Central Florida accessed April 18, 2019, https://richesmi.cah.ucf.edu/omeka/items/show/6958.